Cartography is a craft and we have taken an enormous effort to create a beautiful map that clearly displays Golden & the surrounding area. 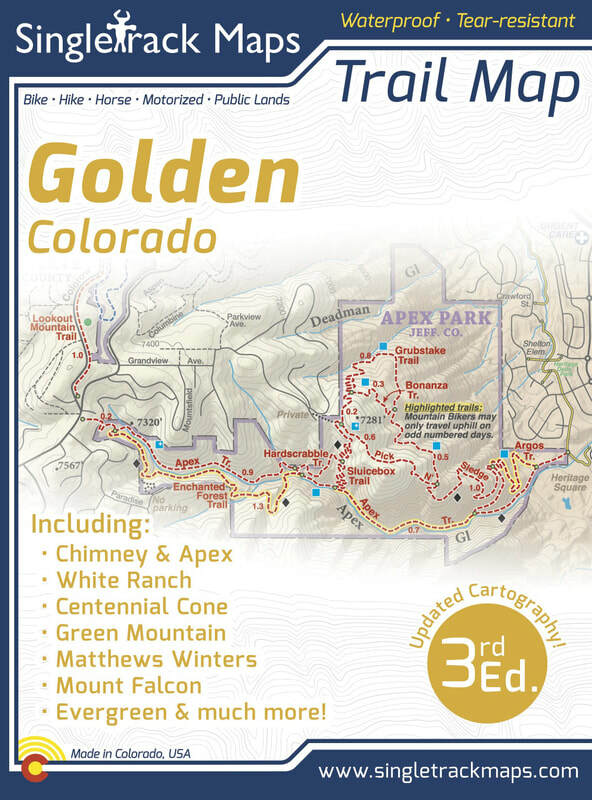 We have spent years collecting geographic data and using local knowledge to give you the most detailed cartography for Golden & the surrounding mountains. Lots of the information and geographic knowledge on this map can't be found on any other maps! 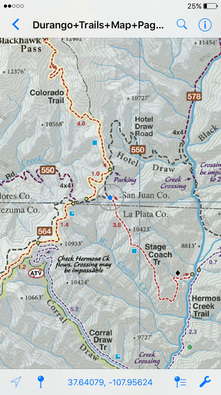 Trail information panels are included on each side of the map. These information panels describe the most popular local rides & include specific ride stats like mileage and elevation gain / loss. the best possible map for you, the user. 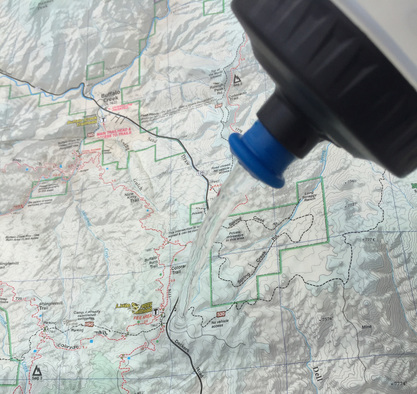 ​onto web maps just so that we can earn money from advertising. Quickly look up emergency contact info. Side panels list contact information for various local agencies and information that you won't find on any other map! Made in Colorado! From the cartography to the final printing. Every step takes place in Colorado. 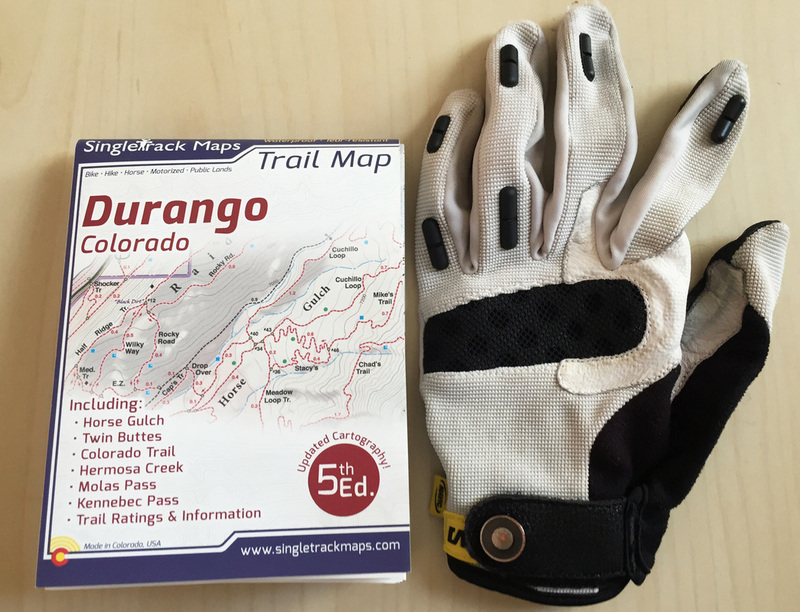 Not only are these maps made in Colorado, but they are only available at locally owned stores. Buy Local!